Corganic offers two digestive enzymes that can be used in different circumstances to improve your digestive health. 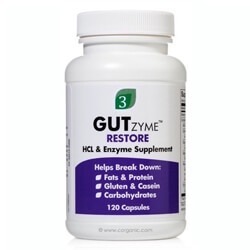 Gutzyme Restore is to help people with upper gut overgrowth digest their food better. Gutzyme Assist is to help different people with more broad digestive issues. Both enzymes are free of fillers like maltodextrin which can cause bloating and indigestion in people with gut overgrowth. The enzymes are also produced in the United States. 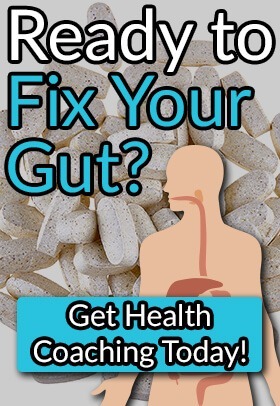 I recommend both enzyme formulations and they can help improve your digestion when taken correctly. DPP-IV Enzyme – A proteolytic/digestive enzyme that may degrade the immunodominant, proline-containing epitope of gliadin, the primary allergenic protein in gluten. In studies, DPP-IV has been shown to lessen or eliminate allergic reactions to gluten. Nevertheless, it should only be used for people sensitive to gluten or someone with Celiac disease when the source of the food might be contaminated with gluten. The enzyme should NEVER be used for people with gluten digestive issues to consume gluten because damage may still be done in the body, even when the enzyme is used. Protease – A digestive enzyme that is useful in digesting protein. Look for a good digestive enzyme that includes a protease complex. Amylase – A digestive enzyme that is produced by the saliva glands in humans, and in small amounts, produced by the pancreas. Amylase is a digestive enzyme that catalyzes the breakdown of starches into simple sugars. You want a digestive enzyme that contains an amylase complex. If you are diabetic, you might want to use a digestive enzyme that has low amounts of amylase, or none at all. Amylase use in a diabetic might cause a major increase in blood glucose levels because of the rapid breakdown of starches into glucose in the stomach. Lipase – A digestive enzyme that is useful in digesting fat. Look for a good digestive enzyme that includes different lipases. 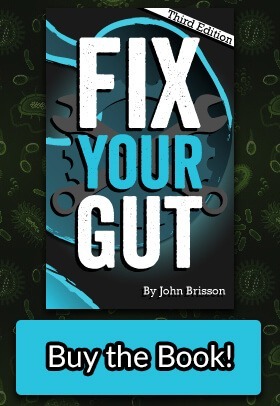 There are some concerns that long-term lipase supplementation may degrade the stomach lining in people with a weak lining or strong dysbiosis in the stomach. Lactase – A digestive enzyme that breaks down lactose, a disaccharide sugar that is found in milk. Most people who are lactose intolerant, lack in the production of lactase; that is the source of their digestive issues when consuming dairy products. Supplementing with lactase when consuming those products might help prevent digestive issues. Phytase – A digestive enzyme that is useful in digesting phytic acid. Many different vegetables, nuts, and carbohydrates contain phytic acid, which binds to some of the nutrients in our food causing us to be unable to break phytic acid down properly to assimilate the nutrients. It can help increase the nutrient potential in our food that has elevated phytic acid. Digestive enzymes should be used in people who have problems breaking down and assimilating foods. They are extremely beneficial for people suffering from Celiac disease, gluten intolerance, lactose intolerance, people with bile issues, GERD, upper gut overgrowth, and people that are affected by SIBO. Digestive enzymes should be used sparingly, and during certain protocols, when needed. Digestive enzymes should not be utilized for an extended period. Long term use of digestive enzymes has been theorized to cause the body to make less digestive enzymes and can lead to a dependency. If you take them for an extremely long period, your digestive system might need a boost by taking Urban Moonshine ACV bitters (use with caution if you have histamine intolerance) to encourage endogenous production of enzymes again. This period where your digestive system produces fewer enzymes might cause some digestive problems to return. You should just try to wait it out if at all possible; eventually, your body will resume proper production of digestive enzymes. If you need to take digestive enzymes indefinitely, you should cycle off one week every month. During the off week, you should take Urban Moonshine ACV bitters every day. I recommend both Gutzyme Restore and Gutzyme Assist from Corganic, two different digestive enzymes that can help many people with their digestive issues. 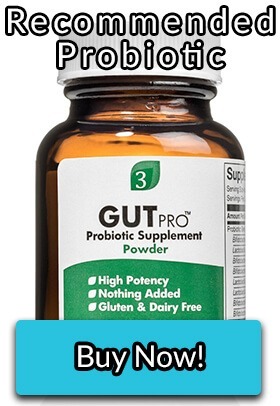 Gutzyme Restore is to help people with upper gut overgrowth digest their food better. 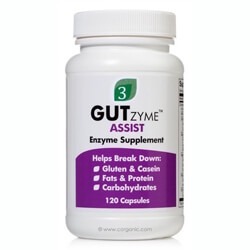 Gutzyme Assist is to assist many people with more widespread digestive problems. Both enzymes are produced in the United States and are free of fillers. Try them and let me know if they improve your digestion. Try Gutzyme Restore or Gutzyme Assist today! There is a class of drugs for diabetes called DPP-IV inhibitors. If diabetics might want to inhibit DPP-IV, would taking a supplement that has extra DPP-IV be dangerous for diabetics?